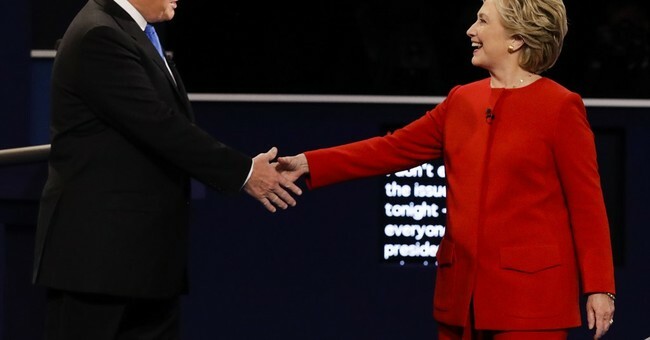 When Clinton said Trump's taxes "must be something really important, even terrible, that he's trying to hide," what I heard was, "My emails, on the other hand, were just a minor mistake and nothing I'm trying to hide -- next question?" If only there were some way both Clinton and Trump could lose. Oh, right -- there is! Governor Gary Johnson's in the race. But the most reliable predictor of future events -- the betting odds (see ElectionBettingOdds.com) -- doesn't give him much of a chance. The bettors don't give Donald Trump a great chance either. As I write, Clinton is favored 68.7 percent to 29.6 percent. We may as well get used to hearing the title "President Hillary Clinton."